You have been invited to a dinner party and need to pick up a quality wine for supper. No need to walk up and down the aisle to find the right wine that meets both the quality and cost criteria you had in your head when you first stepped into the store. 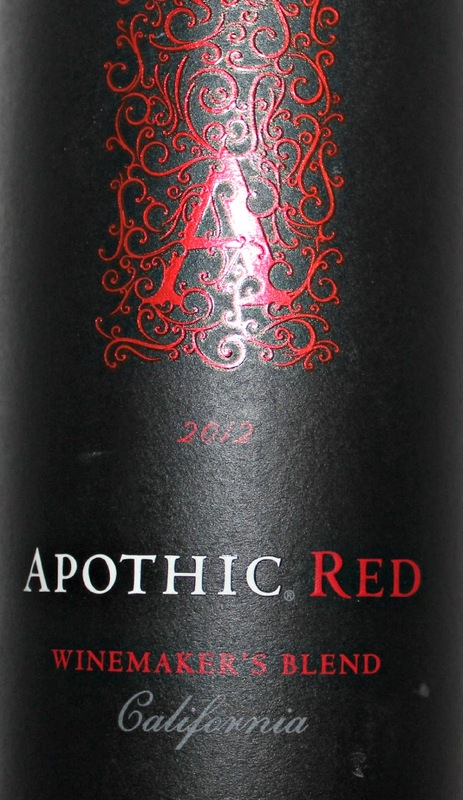 Apothic Red 2012 is a blend of Syrah, Zinfandel, and Merlot that balances the different wines for a high quality outcome. It contains mostly sweet flavors that include raspberry, cherry, vanilla, mocha and some boysenberry. It is a smooth wine with a hardy body and a pleasant aftertaste. This would be the type of wine you would pick up for just about any social affair. Most drinkers will be satisfied with the quality, taste, and consistency of their product. Apothic Red Wine Maker’s Blend is a winter wine by style and complements a variety of winter related foods. Meat dishes, heavy soups, and wild game regularly pair with a heavier red wine. Room temperature wine also complements hot dish foods more commonly in the cool months. Red wine is generally considered healthiest choice among wines. Studies have shown that red wine compounds in the form of polyphenols play a role in inhibiting lipid peroxidation, free radicals, platelet aggregation, and strengthens anti-inflammation (Natella, et. al, 2011). A glass of wine every once in a while has positive supporting effect on overall health. Natella, F., et. al. (2011). Drinking guidance for red wine: to be taken with meals: red wine prevents post prandial increase of plasma oxidized lipids. Journal of Wine Research, 22 (2).